At Leary & Wence, our area of focus is probate law. If you need help with a decedent's estate, whether opening probate, or transferring the assets from the deceased to the heirs by the Small Estate Affidavit procedure, please call us today! 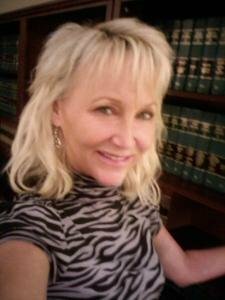 One alternative to probate is the Small Estate Affidavit procedure, authorized by Arizona law.﻿ Arizona law allows family members to use an “affidavit of succession” where a person dies with less than $100,000 in real property value such as a home, and less than $75,000 in personal property. There are certain requirements and procedures one must follow to effectively transfer title to the heirs by use of this affidavit of succession. In order to use the small estate affidavit of succession for real property, You must wait 6 months after the person has died to take advantage of the small estate affidavit for real property. The affidavit must describe the property and what ownership interest the decedent had in the property at death. The affidavit must state that a personal representative has not been appointed. If a personal representative had been appointed, and that person was discharged (or more than one year has passed since the closing statement on the estate was filed), it is still possible to use the affidavit of succession to real property. When a small estate affidavit is presented to a person or agency, for example, the MVD or a bank, the person or entity it is presented to is not required to inquire as to the truth of the statements in the affidavit. If they refust to turn over the property, they can be compelled to by a court order. Being accused of a crime can change your life forever. If you are under criminal investigation or charged with a serious offense, you need an experienced lawyer who will fight for your rights. The attorneys aLeary Law are here to make sure you get the best possible representation. The basic difference between federal and state criminal offenses is that a federal offense violates a federal law and a state offense violates a state law. In some cases, however, federal and state laws cover the same area of criminal law. Federal and state laws can coexist because they are in agreement, but if a state law contradicts a federal law, the federal law generally trumps the state law in the interest of the national welfare. In other areas of criminal law, the federal government has exclusive power to regulate, enforce, and prosecute alleged crimes. These matters often involve interstate commerce, national security, and federal programs. This is why most alleged white collar crimes, such as credit card fraud, tax evasion, and welfare fraud, are prosecuted in federal courts.